Studies on large-scale mobile phone datasets have provided valuable insights into several facets of human behavior including human communication, mobility, and circadian rhythms, among others. In this talk, I will be discussing our work on inferring information about individuals and their relationships. By taking a link-centric approach, we find differences in the calling and texting patterns among pairs and find the aspects of communication that best explain these differences. We then see whether these can be used to predict information related to the demographics of the users. From these results, we gain insight into how communication patterns vary across different types of relationships. Mikaela Fudolig is a postdoctoral researcher at the Asia Pacific Center for Theoretical Physics under the APCTP Young Scientist Training Program. Her current work involves inferring social relationships from call detail records. She obtained her PhD in Physics in 2015 from the National Institute of Physics at the University of the Philippines Diliman where she was also an instructor from 2007 to 2013. She was an Assistant Professor at the Ateneo de Manila University (2016-2017) before joining the APCTP in 2018. M. Fudolig. 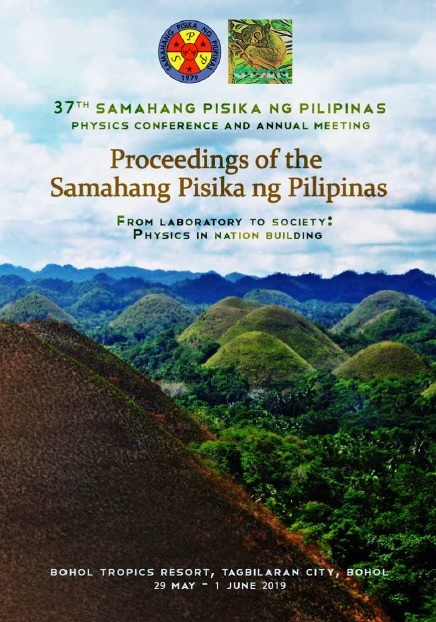 Link-centric analysis of variations in mobile phone communication patterns, Proceedings of the Samahang Pisika ng Pilipinas 37, SPP-2019-INV-3A-03 (2019). URL: https://paperview.spp-online.org/proceedings/article/view/SPP-2019-INV-3A-03.